Building your own tools is ever more important in our modern era of technology. Whether you are interested in making music instruments, eurorack modules, art installations, interactive wearables, building robots or hacking, you have probably encountered the little open-source, community driven Arduino boards. But starting on your own with electronics and programming can be intimidating. That’s why this workshop is intended to help you through every step of how to get familiar and develop your skills to start making your own innovative projects. You will get an introduction to the basics of C/C++ programming concepts, the main features of Arduino hardware and the different types of boards, as well as methods of breadboard prototyping. And most importantly, where to look for further knowledge and source parts. BYOA – Bring your own Arduino, or buy one available from Common Ground. Components like Breadboard, jumper wires, LEDs, switches and Potentiometers will be provided and are included in the workshop fee. Basic C and C++ programming concepts. Overview of ATmega peripheral interfaces. Using General Purpose Input and Outputs. 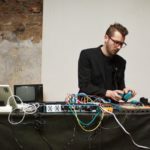 Hi, I am Tomash Ghz, a Berlin based creative technologist, modular enthousiast and creator of electronic instruments. I have held the position of Teaching Assistant for programming courses at the University of Nicosia for several years and am currently employed as an Electronics Engineer. 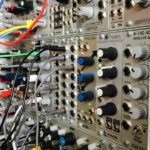 A number of my previous projects were featured in leading online magazines like DJ TechTools, Create Digital Music, DJWorx, FACT Mag, Synthtopia, MATRIXSYNTH and Controllerism. Moreover, I had the opportunity to participate in various forms, from live sets and experimental sound art, to dance theatre, installations, hacklabs and workshops; in a distinctive range of international events, like CTM Berlin, Atonal Berlin, MTF Stockholm, Nuits Sonores & European Lab, Pépinières européennes pour Jeunes Artistes Park in Progress, Fasma Athens and Moving Silence to name a few. I am looking forward to meeting you and sharing my experience.